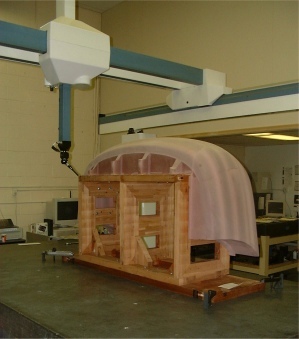 Our five large coordinate measuring machines give us the capacity and flexibility to meet all of our inspection, certification, and validation requirements in-house, with a range from very small parts to large assemblies. Using PC-DMIS or Tarus software, our CMM operators promptly program inspection routines and part inspection begins. Once parts are run and inspected, customers are provided the data via their preferred method of communication (i.e. data transfer or paper). We also provide third party inspection and certification, as our CMM department is staffed on two shifts.